Viknesh Vijayenthiran June 8, 2018 Comment Now! 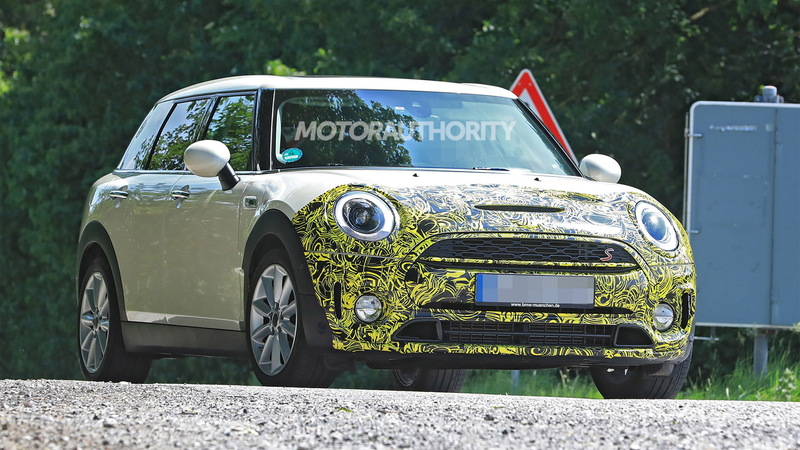 The modern Mini's third-generation family is in the process of being updated. The first members off the line were the Mini Hardtop and Convertible, which were shown in January at the 2018 Detroit auto show. 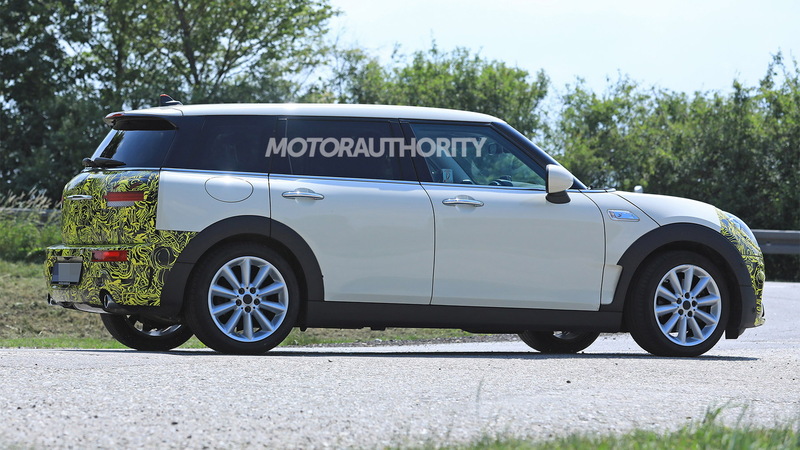 It looks like the Mini Clubman will be the next member to be updated, as evidenced by the recent sighting of a prototype. Mini only instigates mild updates for its cars' mid-cycles, which for the Clubman should entail some refreshed front and rear fascias and a new Union Jack-style graphic for the taillights. 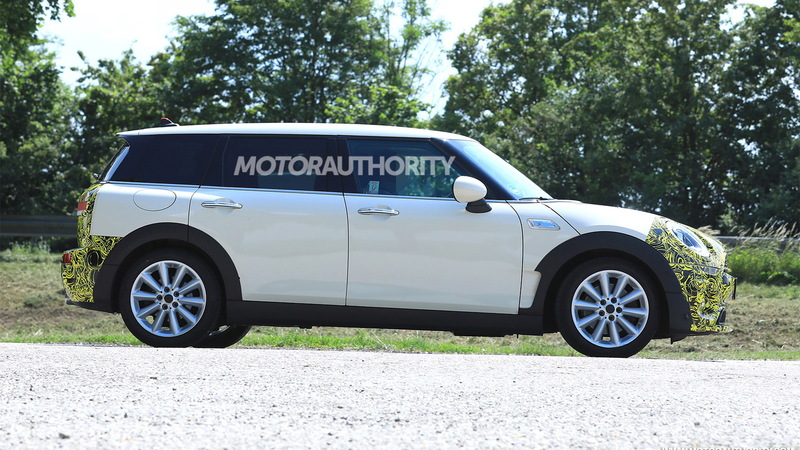 The car will also sport a new, more streamlined Mini logo. Inside will be an updated infotainment system with a standard 6.5-inch display (8.8-inch available), wireless charging pad, and greater connectivity options. There should also be a wider selection of trim options. We don't expect any powertrain updates, which means the base Cooper should come with a 1.5-liter turbocharged inline-3 delivering 134 horsepower and 162 pound-feet of torque (169 lb-ft with overboost), and the Cooper S with 2.0-liter turbocharged inline-4 with 189 hp and 206 lb-ft (221 lb-ft with overboost). At the top will sit the John Cooper Works likely with 228 hp and 236 lb-ft from an uprated version of the Cooper S engine. It's unclear if the Clubman will gain a plug-in hybrid powertrain, borrowed from the bigger Countryman, but it is a possibility. 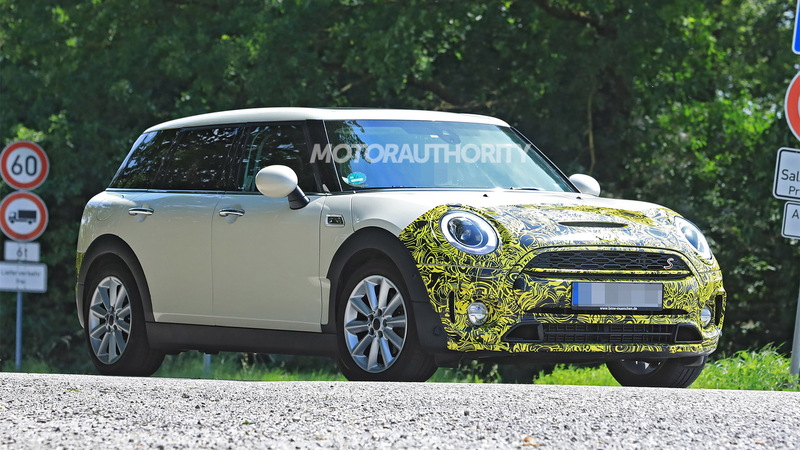 Mini is also working on an electric Hardtop for launch in 2019. 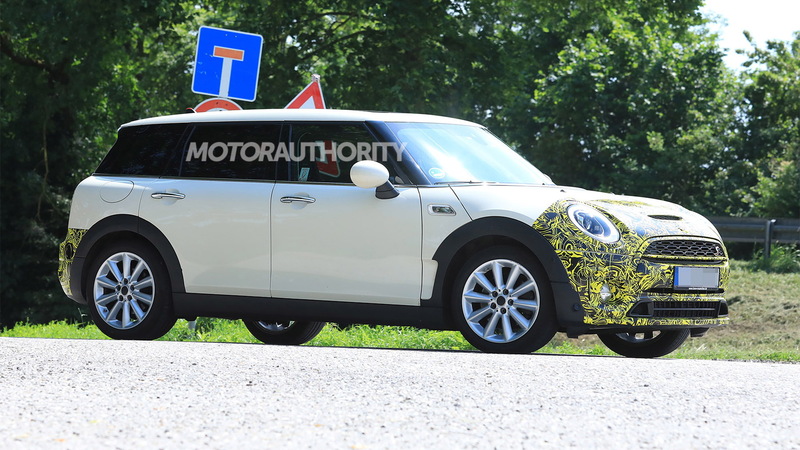 The updated Clubman should also arrive in 2019, likely as a 2020 model.